NetEnt strikes back with a classic yet glamourous slot game which is all about fruits and features. Want to give it a go? 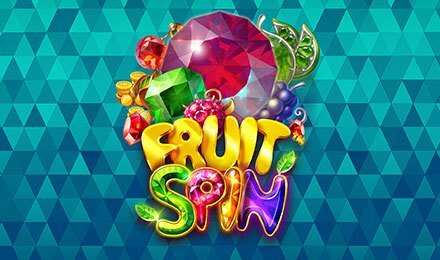 You can play Fruit Spin slots at Vegas Spins anytime you want on either laptop, mobile phone or tablet. Featuring symbols like Triple Bars, Double Bars, Bars, 7 Bars, Strawberries, Oranges, Cherries, Lemons and Grapes, the best win of this game is 120,000 coins. Whenever you’re ready, you can dive into the blue décor of this slots which is stunning and lovely! Whenever there are 3 or more identical symbols on a winning payline, you receive a win as per the paytable: better have a look at it! Another perk which NetEnt has added to this game is the auto-play feature. It lets you choose from 10 to 1000 games to be played on their own, without any disruptions. Bet Levels: On the Bet Level Tab, you can choose any levels from 1 to 10. Amount of Paylines Selection: On this 5 reels and 40 paylines slot, the paylines are fixed and cannot be changed. Coin Values: The coin value options you have vary from £0.01 to £0.10; you can make your choice by toggling the +/- signs. In the base game or the free spins round, any of the symbols, excluding the wilds and scatters, can appear as stacked on the reels. Different number of symbols and different symbols take over for the different rounds. As for the wild, it appears as an overlay wild during both free spins and base game. The Lucky Wheel Feature is started when 3 or more scattered symbols appear on the reels. You receive one spin of the wheel for each triggering symbol. The two possible outcomes of the wheels are free spins or coin prizes. There are two ways to trigger the free spins feature. In the Lucky Wheel feature, you are awarded this bonus round when the outcome of the wheel is 3 free spins bonus symbols. During the base game, this feature is awarded when 3 wilds are seen on the reels. Nevertheless, you are given 5 free spins and more spins can be won if the same number of symbols are seen in the respective rounds.